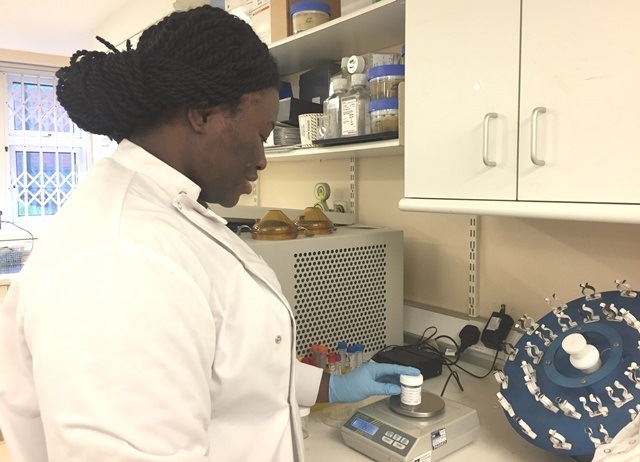 Suzan Ben-Akinduro and Zoya Mehmood are undergraduate biomedical science students at the University of Salford who recently started a placement year at the NIHR Manchester Clinical Research Facility (CRF) at Wythenshawe Hospital. Here, they tell us what attracted them to this CRF placement, what they’ve discovered so far and what else they hope this year will bring them. A placement helps to put a lot of things into perspective; you are able to make an informed decision about your future career by gaining practical experience. It gives you the understanding of what it’s like to work in your chosen field and it enables you to expand your horizons in terms of your future career. Our advice to other students would be not to miss out on this opportunity. I was really thrilled to get a spot on this placement at Manchester CRF; it certainly looked like a great fit with what I was looking for in terms of an opportunity to venture into medical research. I was particularly excited by the fact I would be involved in diverse levels of research, including patient interaction via recruitment, sample processing and auditing. I have been on the placement for several weeks now and firmly believe that by the end of this placement I will have been able to evolve skills that will boost my chances in entering a medical research career and have a better understanding of how suitable this specialisation would be for me. Before starting my placement, I expected this opportunity to just focus on lab experience as this was what I believed I wanted as a biomedical scientist. However, at the interview I realised this placement offered clinical experience as well, where I would be able to interact with patients and take samples. This sounded like a great opportunity to really develop my CV and open up other career paths. Since starting my placement; in the lab I’m processing different biological samples including bloods. It’s vital these samples are processed correctly to avoid cross-contamination as they are being sent to central laboratories for analysis for clinical trials, research, academic and commercial projects. 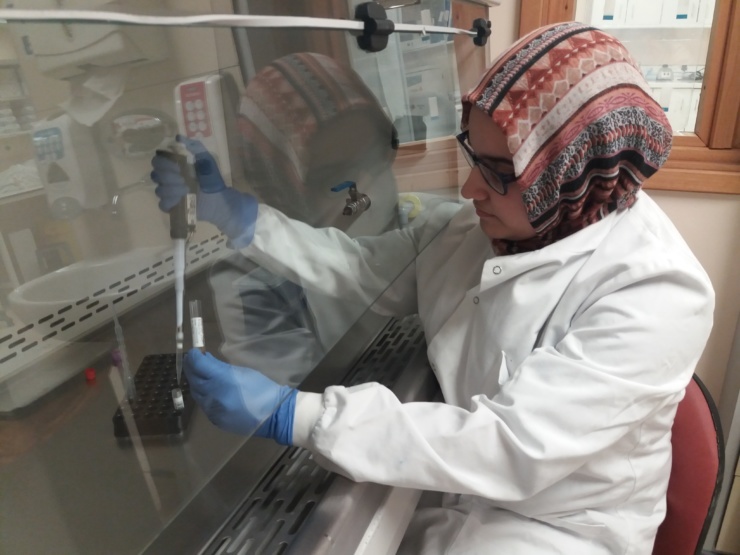 The lab team have been a great help, allowing me to observe them and go on to complete my laboratory competencies (lab skills I require to ensure I am able to work independently in the lab) with their guidance and encouragement. I have been able to follow the protocols step-by-step ensuring the samples are processed, transferred and stored accordingly. During my studies, I was able to do a blood slide once, which at the time I found extremely difficult to get the right technique, as there wasn’t enough time or opportunity to practice. Now, I have had the chance to do many blood slides adopting the correct technique that works for me which has allowed me to become confident handling blood samples. The way we’ve been learning by observing the team and then undertaking the work ourselves with guidance and feedback has made the learning experience really interesting. It’s also made it easy to progress our skills safely and with confidence. I can now independently carry out sample processing using pipetting, blood slide preparation and centrifugation whilst strictly adhering to the protocol. This has really helped to bring classroom learning to life. Understanding the clinical side of the role has involved shadowing a research practitioner which has provided additional learning opportunities such as; sitting-in during a doctor’s consultation, and observing a bronchoscopy examination. These were opportunities I hadn’t expected to have on this placement but they’ve really helped to bring classroom learning to life. From this role, I have perfected my venepuncture technique and can carry out patient recruitment without deviating from ethical legislations. Next, I’m looking forward to completing competency assessments regarding technical skills needed for the role, working alongside researchers on various current studies and on my individual project. The project will focus on how the time difference between sputum sample production and sample processing affects the outcome of sputum differential cell count, particularly eosinophil count, in severe asthma patients and will be a great way to demonstrate what I’ve learnt whilst here. I’m excited to start working on my personal project, where I will be measuring sputum eosinophil levels in severe asthma patients. This personal project provides a great opportunity to demonstrate just how much I’ve learnt here. I am really enjoying this placement as I have picked up many practical skills and have built upon what I’ve learnt at university by being able to put that knowledge to the test. This placement has had a huge impact on my career choice as I would now consider following the research route.